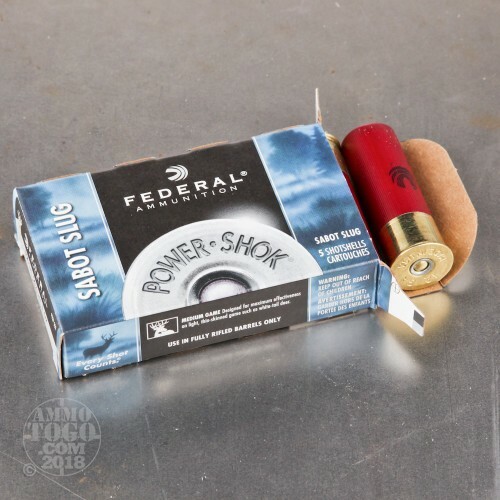 This is a 12 Gauge Federal 2 3/4" 1oz. Sabot Slug Ammo. 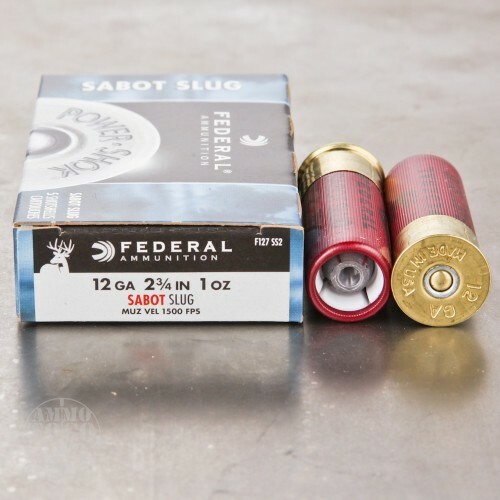 Designed for light, thin skinned game such as whitetail, Federal's Power-Shok Sabot Slug in 12 Gauge provides exacting shot alignment and hard-hitting performance. 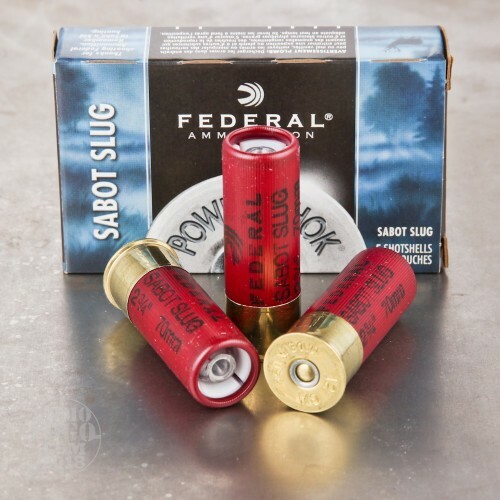 Loaded with Federal's effective sabot slugs, this ammunition delivers high penetration and excellent accuracy without sacrificing the drop-right-there power of a full bore slug. 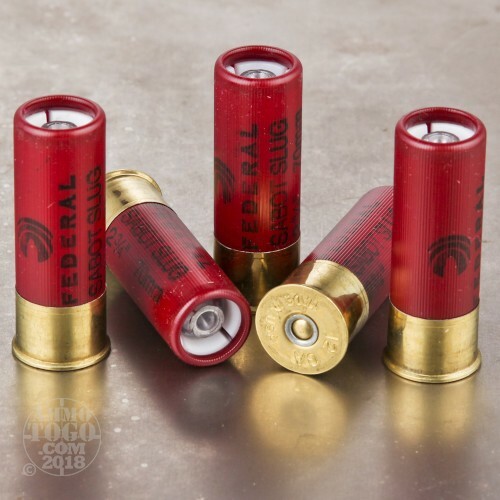 Combined with Federal's reputation for quality, this round will give you the results on game you've been looking for at a cost you can afford. It comes packed in 5rd. boxes. Muzzle Velocity: 1500 fps.